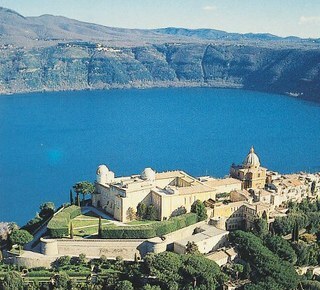 The museum houses the remains of two luxurious vessels recovered at the bottom of Lake Nemi and a section with prehistoric materials; there is also a space with a stretch of the Via Sacra. 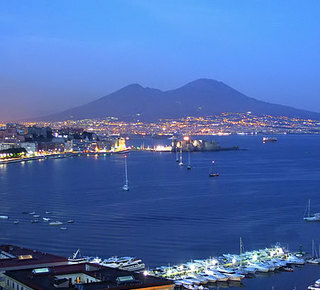 A more beautiful place could not have chosen for its Villa of the Emperor Tiberius, the Sea. 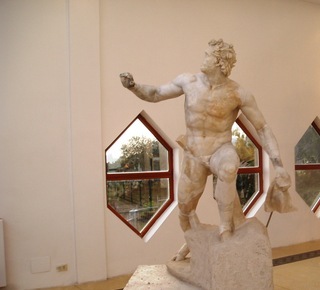 The imperial residence, the remains of which, in the sixties was born the Archaeological Museum of Sperlonga, preserves the wonderful finds from the statues that adorned the gardens and the cave of the Cyclops. A true Odyssey of marble which is one of the most fascinating testimony to knowledge of the myth of Odysseus in ancient art. Breathtaking views with Ponza, Palmarola, Zannone and Ventotene. 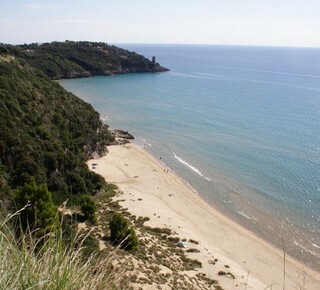 Choose from leading Cetarola the angle of the coast where the sea is blue and dive into the waters of the Villa of Tiberius or Circeo in the footsteps of Ulysses. Itri, Old Town, Castle and Tarita Fest. The medieval village of Itri overlooked by the castle, worth a visit both day and night. It is always exciting to discover alleys and stairways, old mills, stone portals and signs of the past. On August 13, you can not miss the Tarita Fest! Enjoy the Valmontone playground.Counts 36 attractions and several performances staged in the theaters and on the streets of the park. Carved into the rock walls of the medieval castle of Itri, where before there was an old mill. Kitchen wise and warm and welcoming environment. From the charming village of Rocca di Papa to the top of the Maschio della Faeta go along the ancient Via Sacra. 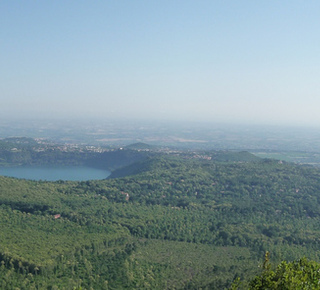 The only place where you can see both lakes Albano and Nemi simultaneously. The Ways Oil and Olive of Gaeta. 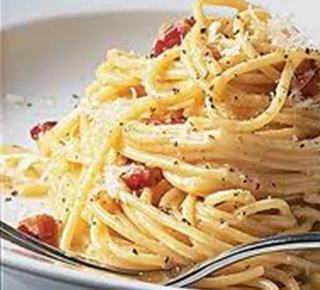 Ground of knowledge and tastes unique and unforgettable, the verdant territory of South Latium, captivates residents and tourists at the table with its typical quality products. An oasis of flavors and the local people. 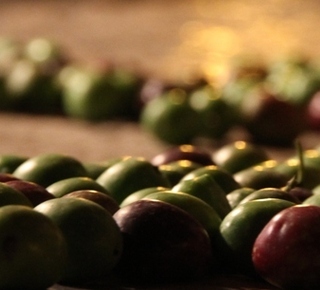 A Itri produces and markets the famous Olive of Gaeta. Oil also has good taste generous and fragrant. It takes very little to enjoy the fragrance, warm bread and Moscato di Terracina. And then the water Olive, Olive Pistate, Olive Infornate, Olive Cerasole. Simple and authentic flavors. 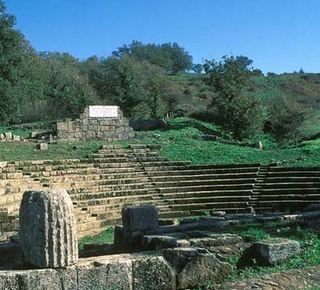 Explore the ruins of the ancient city of Tusculum on the edge of the great volcano of Lazio. The Abbey of Montecassino Bulwark of Peace. 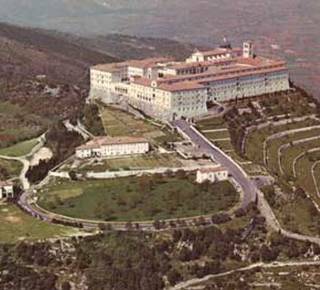 The Abbey of Monte Cassino. 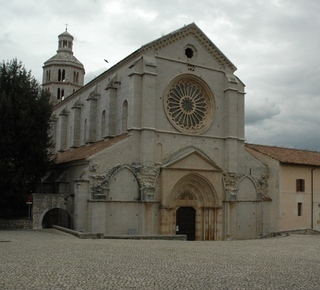 Founded in 529 by St Benedict of Norcia, over the centuries the edifice has been the subject of attacks, earthquakes and subsequent reconstructions. 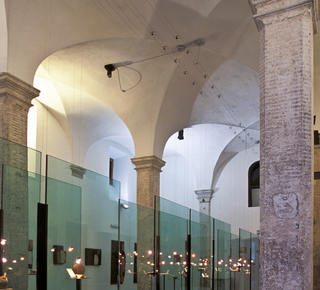 Today it serves as a unique gallery for ancient art works. 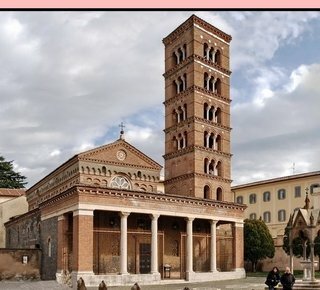 Built in 1004 the Abbazia of San Nilo at Grottaferrata is the only Byzantine monastery to have survived on the slopes of the Colli Albani hills. In the Sixties, Fortini family opened the "Taverna dello Spuntino", in the grandfather Alcide's old cellar, creating a successful restaurant on which all the family-third generation included-is keen. 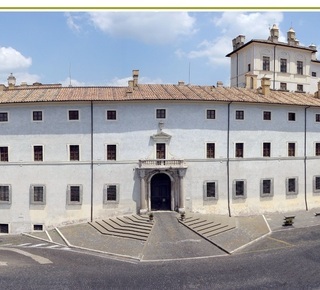 In the spectacular Piazza di Corte, stands the magnificent baroque home of the Chigi family. Sat-Sun-Holidays 10,30 am - 11:30 am - 12.30-15 - 16- 17 - 18. The Beach of Torre Scissura is a really special place. White sand, Emerald Sea and Rocks Vertical. One drawback: 300 steps to get there. The difficulties of access, however, have meant that the beach destination for naturists and rock and equipped in a spartan with umbrellas, sun beds and dining, it is a favorite with families and children because without bathing. 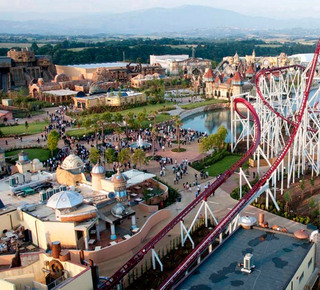 From Akasamia you can make sightseeing in the two cities with Intercity train from Formia station. From the port of Formia and Terracina with hydrofoils is possible to reach the islands of Ponza, Ischia, Capri and the Amalfi. 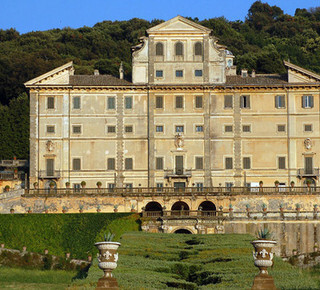 The last five hundred Italian artistic jewel, Villa Aldobrandini stands on the square of Frascati near and dominates the near Rome. On March 19, every year in Itri renews the traditional Festival of the Fires of St. Joseph. Each district of the town, collect wood old wood, pruning of oaks, olive trees, oaks, mastic, and prepares a bonfire around which, accompanied by small touring orchestras that play popular music of southern Italy, you can dance and you can taste local produce and homemade wine. Very beautiful are the torches of the Old Town and along alleys and steps you will be enraptured by oriental melodies and frenetic rhythms of Tamburelli and Tammorre. The soundtrack of the festival offers "Pizziche", "Saltarelli" and "Tammurriate." At 20.00 a firecracker announces the stoker to turn the lighting of bonfires and a moment later the sky glows red Itri and thousands of sparks, along with bystanders, dance in the dark of night. 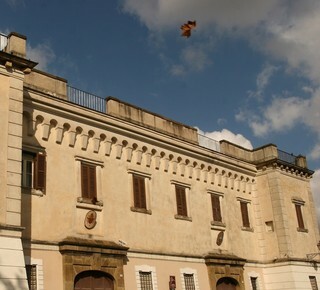 The museum is hosted at the 17th-century Aldobrandini Stables. 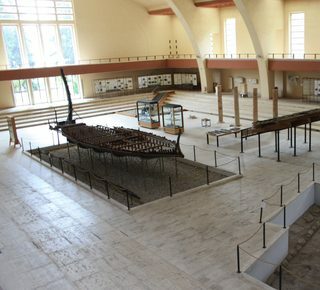 It houses the archeological collection, consisting of finds from the Latin city of Tusculum and the surrounding area. 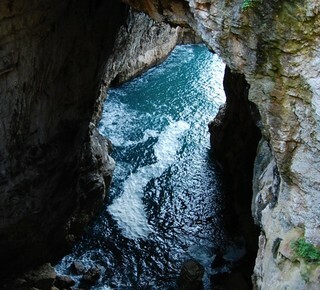 The Turkish Cave is so named because in the ninth century, at the time of the Duchy of Gaeta, the Saracen ships found refuge between the cracks of Monte Orlando, ready to attack by surprise transiting ships to plunder their cargoes. Abbeys and Mysticism ... in places of St. Thomas. Based Akasamia you can visit with an interesting Cistercian Abbeys different. Besides the beauty of the place, from the point of view Architectural and Nature, one is kidnapped by the peace that these places emit. 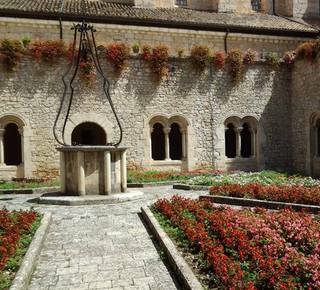 Starting from the beautiful Sant'Angelo in Formis, along the Appian Way, following the path that the ancient Via Francigena pilgrims called, you get to where funds on a closed channel lies the Abbey of St. Magnus, recently restored. Continuing on the SP 148, in the place you stop to Priverno Fossanova where there is the Abbey and the small village of the same name. 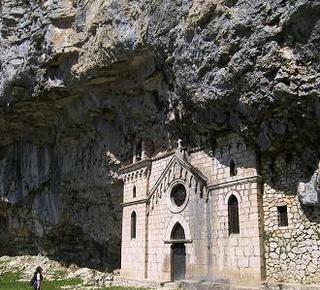 Here, in addition to admire the architectural beauty of the area, you can visit the cell of St. Thomas Aquinas. A pleasant place of serenity and mysticism. The Garden of Ninfa houses the ruins of a medieval town, burned and plundered several times and then abandoned by its inhabitants. Today, around the banks of a pond, were the remains of a ghost town, with its walls, towers, churches and homes. In 1920 the Prince Caetani Gelasio decided to reclaim this property, with the intention of making the beautiful garden that is still admired. A veritable Garden of Eden declared a Natural Monument of the Italian Republic. His work was continued by Donna Lelia, the last member of the family, who settled in this beautiful romantic park, full of exotic species and decorated with fanciful fountains. In 1977, after his death, Ninfa was donated to the foundation Roffredo Caetani, who still manages the beautiful site. In the garden you can admire apple, cherry and magnolia trees and many varieties of rare plants and Mediterranean flora. 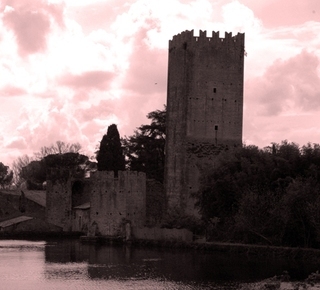 Although the territory of the Municipality of Cisterna di Latina, Ninfa is closely linked to the history of the Caetani family and then to Norma and Sermoneta. 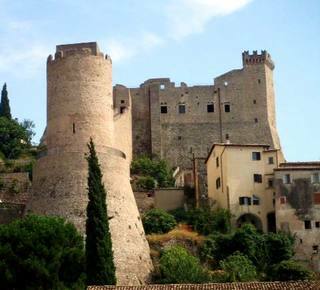 Do not miss a visit to the Castle Caetani and the ancient town. 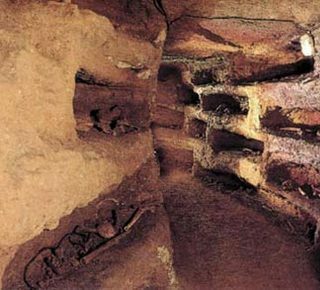 This extraordinary catacomb complex was discovered in1905.The hypogeum is entirely dug out in the tufa rock at 9 meters below ground level, and extends for about 250 metres. The Beaches of the Wind, the Gulf of Vela. The Beaches of Vindicio Capratica and are ideal for those who love surfing, windsurfing and kite surfing. 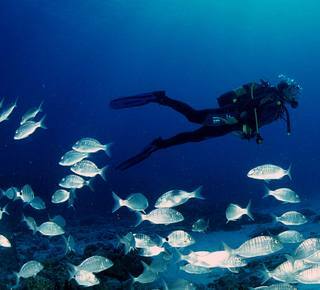 On site you can also rent the equipment from dawn to dusk and whiz and sailing in the waves. The Gulf of Gaeta, with its splendid form a horseshoe, in recent years it has become a must for sailors. In April, in collaboration with the Yacht Club Gaeta, Yacht Med Fest, offers the best of the Italian boat.